During the '90s, Shane Black's name became so synonymous with giant paychecks that it almost seemed like "highly paid" had become as much a part of his job description as "screenwriter." While still in his early 20s, Black sold the enormously influential screenplay for Lethal Weapon. The hit Mel Gibson-Danny Glover vehicle led to three sequels and countless imitators, and it helped establish Black as the king of the snappily written, testosterone-charged action buddy comedy. Black's script for 1991's The Last Boy Scout helped make him one of the highest paid screenwriters in the business. He followed up with work on 1993's Last Action Hero. The film was a colossal critical and commercial disaster, but Black still famously netted $4 million for the script to 1996's The Long Kiss Goodnight. After that film's commercial failure, Black scripted 1999's little-seen A.W.O.L., then retreated from the business. But Black came roaring back to the screen this year with his directorial debut: Kiss Kiss, Bang Bang is a deliriously enjoyable, clever buddy comedy/mystery about a thief-turned-aspiring-actor-turned-gumshoe (Robert Downey Jr.) and his reluctant detective mentor (Val Kilmer). 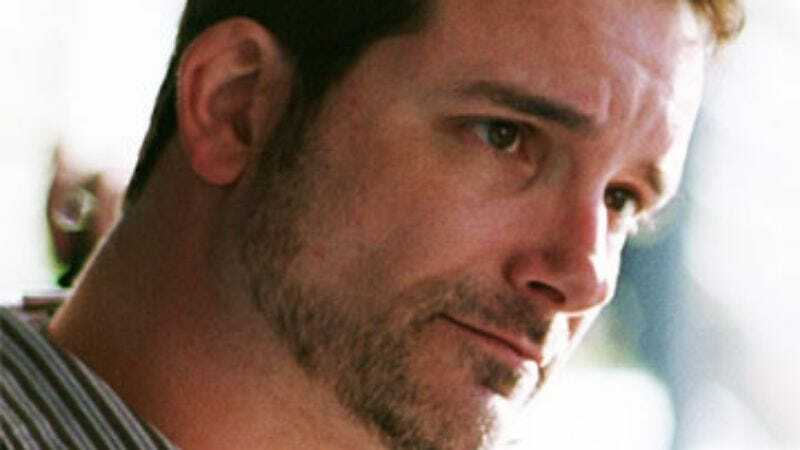 The A.V Club sat down to talk to the intense veteran screenwriter about the vanity of actors, how nobody wanted to make Kiss Kiss, Bang Bang, and the resentment his $4 million screenwriting paycheck earned him. The A.V. Club: Did you always want to be a writer? Shane Black: No, not so much. I wrote all the time, but the idea of doing it professionally seemed like pie in the sky. Who gets paid to write? I grew up in Pittsburgh, so it wasn't really a notion that a lot of people pursue. I wanted at one point to act, which is a weird thing for men to want to do. It's a very vain profession. I don't mind women who want to act. That's fine. It's odd that men want to act, in that there's still a degree of vanity associated with it. It's like, "Put on some makeup, make me look good. Okay, now I'm going to roll my shoulder." Part of me still feels like, "Wow, that's weird for a man to do." AVC: How does that affect the way you interact with actors? SB: Well the truth is, vanity or no, I studied acting for four years. I did a lot of plays in college. It affords you a sense of the actor's world, just what things are important to them. What's an actor used to? What's an actor's day like? What do they do to prepare? What does that preparation consist of? What do they talk about? What are the problems an actor has? What are the concerns, the pet peeves? All that stuff, because of my training in acting with UCLA, I was able to walk in the door with and bring to this movie. So I think it's an advantage. Every director should take an acting class. At least one. You know, you panic with actors. It's like, "Okay, this is back in college, I know how to talk to these guys. I know their vocabulary, and I get what they're saying back to me." So basically to learn the vernacular of acting, that's very important. AVC: Do you think that going to UCLA gave you a head start, as opposed to, say, going to college in Pittsburgh? SB: Going to UCLA, as far as I'm concerned, afforded me two things. One was the advantage of meeting friends and getting to know a group of guys I hung out with, was chummy with. All of us eventually had success with film. Making films, cutting our own little movies together, 3 in the morning going out and shooting stuff, finding gels that people had thrown away, making our own lights. It was like a frat house for film geeks, the Pad O' Guys. That's what being at UCLA afforded me. So when one of us had some success—in this case, my pal Fred Dekker—he would reach down the ladder and help me up a rung, give my work to his agent to pass around to see if anyone liked it. The other thing was just being in California and around the movie business. Which I honestly believe, and I've told this to screenwriters, you have to do. You have to be there in order to write or direct movies. People say, "Oh, I'm gonna do it from Pittsburgh. I'm just gonna deliver scripts or fly out, like, once, then fly back." You have to make a full commitment. You have to actually get on a plane, come to L.A., rent a place, and live there. And that's how you forge your career. Not just sort of haphazardly. Once you've got a few hits under your belt, assuming you do, then go back and move away and correspond with the studio. AVC: You sold your first script while still in your early 20s. Did it play havoc with your psyche to achieve such huge success at such an early age? SB: No, not really. I had my group of friends, and they stayed my group of friends, they were good about that. We all started to succeed at the same time, so that sort of took the curse off it. I didn't have a bunch of people scowling at me and being potentially jealous. I just had good friends who I was able to help, and they helped me. Yet it eventually came to feel debilitating. Once I started selling scripts for a great deal of money—action scripts, no less, which people tend to pooh-pooh anyway—then I started to get some backlash. Which I didn't mind. [There were] a lot of comments, and just a feeling that no one was quite taking it seriously. People would say, "Well yeah, if I wrote action films, if I wrote the trash that you write, I could make millions too. But I want to write my real movie about these Guatemalan immigrants, and how they hid under a truck for 300 miles." And that's fine. I'd love to make that film too, but to dismiss everything I did just because it's action seems wrong. It really started after The Long Kiss Goodnight sold for just a sinful amount of money. People were angry that I took the money. People offer you $4 million for a script—what are you going to say? "No, I'd rather sell it for $100,000"? But it engendered so much anger, I lost friends over it. And no one talked about the creative content of anything I did any more. They all just assumed I was this guy with a formula, a hack formula. So the spotlight was on me. I pretended it wasn't, but it was, and for every wrong reason. It was all about money, it was all about my supposed competition with Joe Eszterhas over who'd be the highest-paid screenwriter. I didn't care. I just wanted to write stories, try to become a better writer, improve my style, change genres, even try new things. I didn't like action so much any more. But I wanted out of the spotlight, so I subtracted myself for a few years. I just tried to do a couple producing projects. Of course, the problem is, in getting out of the spotlight to feel safe and invisible again, I overcompensated and went too far into the darkness. And now I come back and go, "Wait, I didn't mean to go that invisible. Hey, come on, I'm here, I want my voice to be heard." And I think a lot of people—by the time I came back with a script I liked, which took me many years, they'd forgotten who I was. And it was very difficult to get them to read that script. Doors all the time are slamming, you meet friends that you've had for years, you'd go to the studio, and they'd say things to indicate clearly that they hadn't read it, or that they'd had their assistant sort of skim it. One person I've known for years said, "You just can't do a period piece here." It's not a period piece! I didn't correct him, I just walked away. Nobody liked the script for Kiss Kiss, Bang Bang. They wouldn't buy it. They wouldn't make it. And also, even if they thought about making it, the idea that I ensconced myself as a director attached [made them think], "Who's this kid? He's been out of the business for a couple years, and he wants to direct it too? It's a weird script, and there's a gay character…" Because of all these things, the doors slammed across town. And so to make it like it used to be, I thought, "What can I do to get past this?" And I thought of Joel Silver. He never changes. He's sort of the unmoving, unchanging rock of Gibraltar in the otherwise-shifting world of Hollywood. He's the same as he always was. He looks the same, talks the same, has the same enthusiasm. I knew he'd like the script. So we got Warner Brothers to give us $15 million. "It's not a lot," says Joel, "but I'll get you enough." Because Warner didn't need to make that movie, they're doing it for Joel. Fifteen million, to them, is a low budget. So they gave the money to Joel and basically said, "We trust you. Call us back when the film's locked." And that had a great advantage to me, because that meant that I didn't have to go through the development process at a studio. I didn't have to go through all these meetings. I didn't have to listen to critiques and notes and rewrites. All I had to do was please one man, and that was Joel, and the studio trusted him to do whatever he wanted. Whatever he wanted included a lot of the stuff that I loved, because we see things alike. So I ran the movie, just me and Joel. And Joel guided me every step of the way. His input was incredibly powerful and made the movie so much better. He's so familiar about the craft of film. He can get in the editing room and work miracles, things that people don't credit him for, that they never expect. So between Joel and the great crew that he managed to put around me, I think looking back, there are 10 things I would change. Exactly 10 in the movie, little things that just bug me, like, "Oh, we cut in the middle of a joke and we didn't get the laugh. You know what? If we hadn't cut to the other angle, we would've gotten a laugh, and we should go back on that one." Given the time we had to work—35 days—and the money, I'd be incredibly greedy to ask for more than what we got. It's the first time in my career where what I wrote on the pages is on the screen. I'm more proud of it than anything else I've done. It is effectively what I wanted. If this movie's bad, it's my fault. It's not somebody else who changed or censored or edited it. This is the stuff I wanted, and that's what's on the screen, and if you don't like it, it's my bad. AVC: Screenwriters are notoriously powerless in Hollywood. Being such a famous and highly paid writer, do you feel you have more clout? SB: No. I have no power, and that's what's so humbling. I mean, Joel still respected me. Eventually, when he started seeing dailies, he was able to just leave us alone even more. Because he kind of relaxed to the idea that we were going to get the job done, and I kind of knew what I was doing. But getting the movie made was the hardest thing, initially, because nobody knew who I was any more. I was in this whole thing, this writer thing, but that and a nickel will get you a cup of coffee. AVC: Do you feel like the notoriety surrounding how much you got paid for some of your scripts put more pressure on the films themselves? SB: I don't know. I don't think Long Kiss Goodnight is a bad movie. I don't think we were shunned because of the script sale or anything like that. I think it just didn't get people's asses in the seats on opening day. They just didn't come out to see it. Who knows why? I was honestly a bit disappointed, because I sold the script because Renny Harlin and Geena Davis were available. And the very next day, Renny said, "Uh, I forgot to tell you something. There's this contractual thing, and I might have to go do another movie first." And that was Cutthroat Island. So he came off of Cutthroat Island, which was one of the biggest bombs of the decade, and I think that may have hurt us too. I wish we had released our movie before Cutthroat Island. AVC: What about Last Action Hero? Why do you think that was received the way it was? SB: I think it was overhyped. L.A. papers had pictures of Arnold wrestling a dinosaur. It's like, "Who will win, Jurassic Park or Last Action?" When you hype yourself up that much, you're just cutting your own throat. The movie just wasn't funny or satisfying enough to sustain the kind of audience attention that… Jurassic Park delivered the goods 100 percent. I think Last Action Hero was basically very muddied. I don't think there was a writer in Hollywood who wasn't at one point asked to do a rewrite on Last Action Hero. It came back to me and my partner eventually—they just ran out of other people to ask. I think Carrie Fisher even worked on it at some point. So it was a painful experience. I didn't really find the finished product that wonderful, but you know, it happened on my watch, so I gotta take the blame. AVC: Have you always wanted to try directing? SB: Yes and no. I never really realized it was an option. Finally, after being so bored and aggravated by these scripts that go out into the world and I don't see again except when they show up on the screen, I needed more control. I also felt that in a way, I hated the writing process so much. It's excruciating, as I'm sure you know, and so lonely being in the solitary prison of my office. A lot of brain-wracking. It just felt like it was so much hard work, and I would send it away. I felt as though I was doing all of this heavy lifting, this weightlifting, every day, all day. It was excruciating. And I stayed skinny, and someone else got all the muscles. I was eating all my vegetables, but then I wouldn't get dessert. To me, directing is the dessert. It's the chance to put a script on its feet. It's more social. It's more like putting a group of people together with one energy that's focused on a common objective, and that is such a great, powerful energy to participate in. It's a privilege to channel the kind of energy that develops from the process of all those people looking in the same direction. All night shoots, marching up and down in the bitter cold, I loved every second of it. AVC: Still, the script to Kiss Kiss, Bang Bang seemed to imply a sense of joy in the writing itself. SB: I remember seeing that people were saying, "God, this is unusual." I'd say, "What's unusual?" They say, "There's so many words, there's so much talk in this film." They're just not used to making movies where there's that much talk. And that's probably true, and yeah, that's kind of the point. When you only have $15 million, you have to talk about something interesting. You can't just cut to a helicopter exploding. AVC: What's the most important thing you've learned over the course of your career? SB: I think the most important thing is to, without belligerence, stand up for what want. Argue compellingly if someone tries to change your script. Yeah, legally they can if they want to. But rather than give up, as some of the writers do, and just wail about how your script got rewritten, it's much more difficult—but well within the realm of possibility—to argue very sincerely, calmly, and reasonably from your point of view, such that the director or the producer might decide, "All right, let's do it that way." You can win as long as you chose your battles. You can win more arguments then you might think as a writer, even though you legally have no recourse, and your script can get muddied and altered in any way possible. You can use reason, logic, and passion to argue persuasively for a case in your favor. So what I've learned is to just basically not buckle—not be belligerent, not be angry, not throw fits, but just not buckle. Though there are times where you have to stand up and yell. If I've got to throw a chair, I'll throw a chair. There was a meekness about me when I started, and I think the meekness has sort of evaporated. I hope that it's left behind a more passionate person, not a meaner person. So I guess that's what I've learned.